These beautiful acrylic pencil hooks are one-of-a-kind and made exclusively for Spruce Ridge Studios. The fine tip is suitable for #3 and #4 cuts. 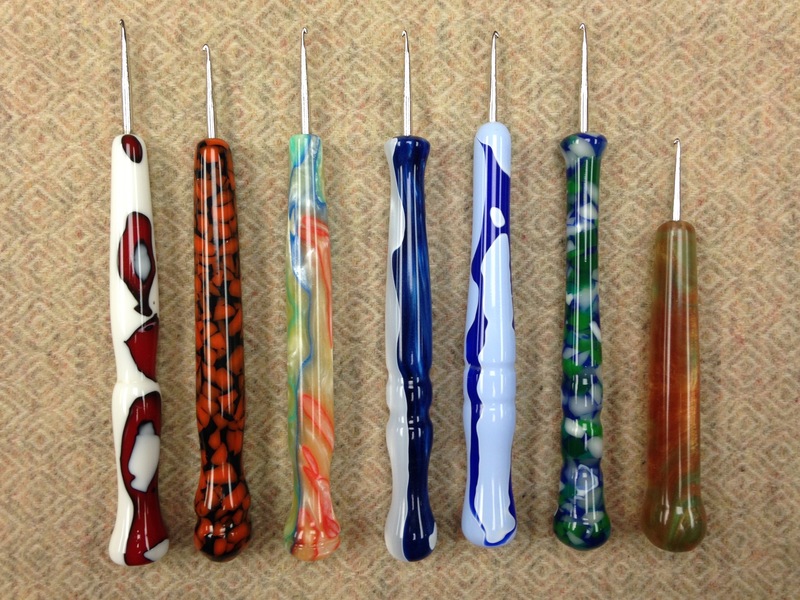 Add a little fun to your hooking with the gorgeous depth and colors of these hooks! Handles are approximately 5″ long. Please indicate the desired color in the notes section of the shopping cart.